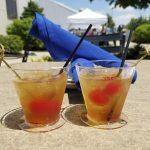 Home » Blog » Events » We Celebrated Father’s Day with Bentleys, Bourbon & Bow Ties! For Father’s Day 2016 I celebrated with my father at the annual “Bentley, Bourbon, & Bow Ties” brunch. 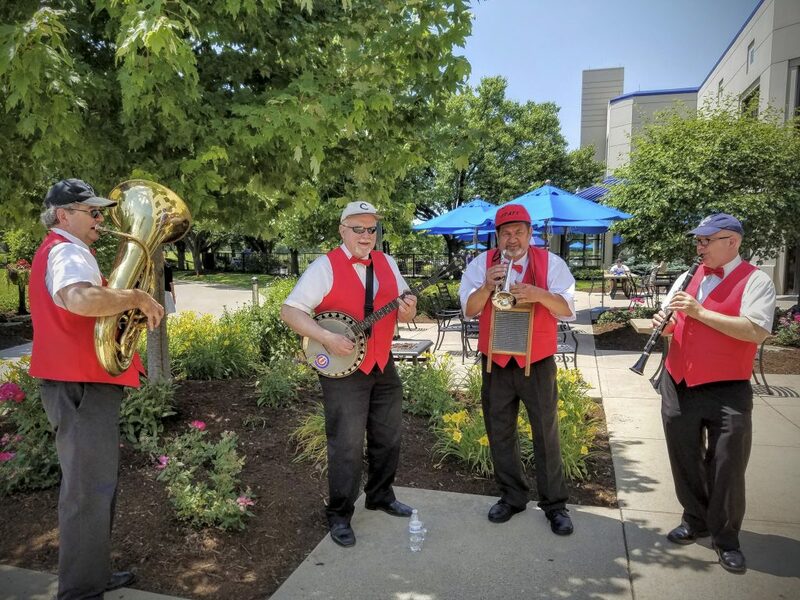 Held at the Hilton Chicago/Oak Brook Hills Resort & Conference Center. The event was hosted in partnership with Perillo Auto Group, Southern Wine & Spirits and Trunk Club. Each there in full force to make sure dads, and their families enjoyed a memorable father’s day. The weather couldn’t have been better, a sunny 90 degrees outside and a pleasant air-conditioned pavilion tent for dining and to escape the heat. We arrived just before noon to a party already underway. 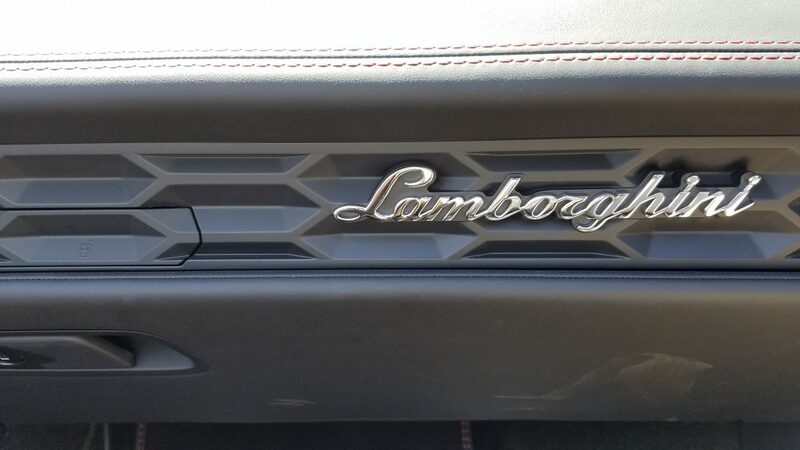 We followed a red Lamborghini Huracan and a black Bentley Continental into the parking lot of the resort. I had a feeling it was going to be an exciting day! As we parked there was a golf cart waiting to take us to the check-in tent where we picked up wristbands and checked in for our test drives. Before heading outside we paid a visit to the huge buffet prepared by Executive chef Sean Patrick Curry. 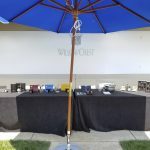 We sampled sliced beef brisket, mini bacon cheeseburgers, whole roasted suckling pig, smoked blue cheese chips with candied bacon and much more. After filling up we went outside to the Perillo tent to pick our rides. 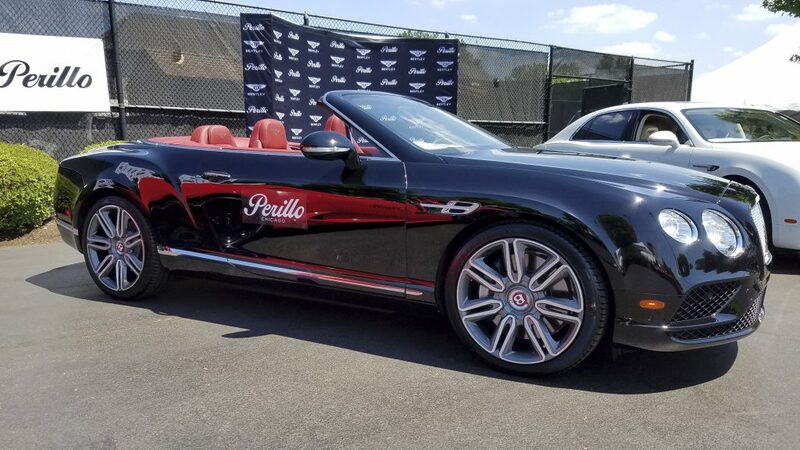 Perillo pulled out all the stops bringing with them no fewer than two Lamborghinis, Bentleys, Rolls Royces, and Maseratis to test drive. In addition to more cars from these manufacturers they had Ferrari and even the futuristic BMW i8 to sit in and push buttons. For our first drive we picked a beautiful white Bentley Continental Flying Spur. 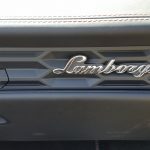 I jumped behind the wheel of this beast with my father in the passenger’s seat and a Perillo rep in the back to tell us about the car as we went for a drive. And this wasn’t just a drive around the parking lot. We took the car out on the road, around the country club and through a business park before heading back to pick out our next car. 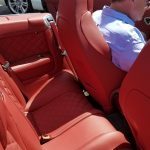 For the second run we grabbed a black Bentley Continental GT Speed Convertible. My dad took control of this car and took us for an exhilarating ride while the air-conditioned seats kept us cool. 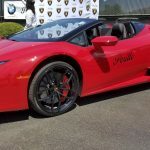 One of the Lamborghinis available for test drives. A Bentley for driving and for photo ops. 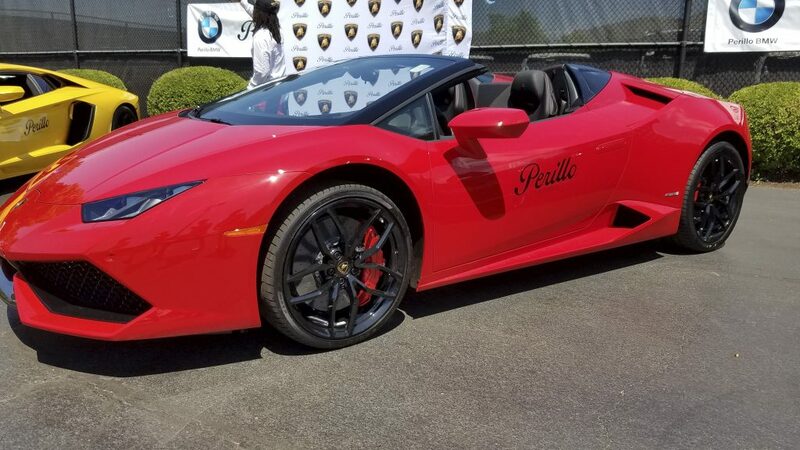 Sticker price on this one was $249k, no big deal. 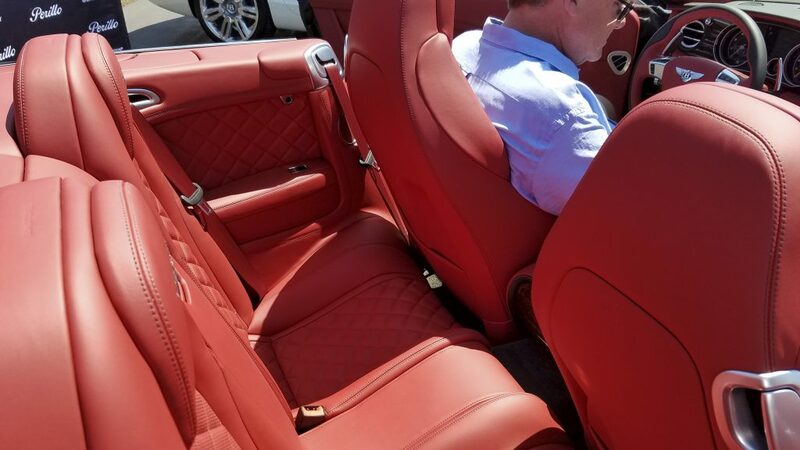 The back seat of this Bentley doesn't offer much, or any, leg room. 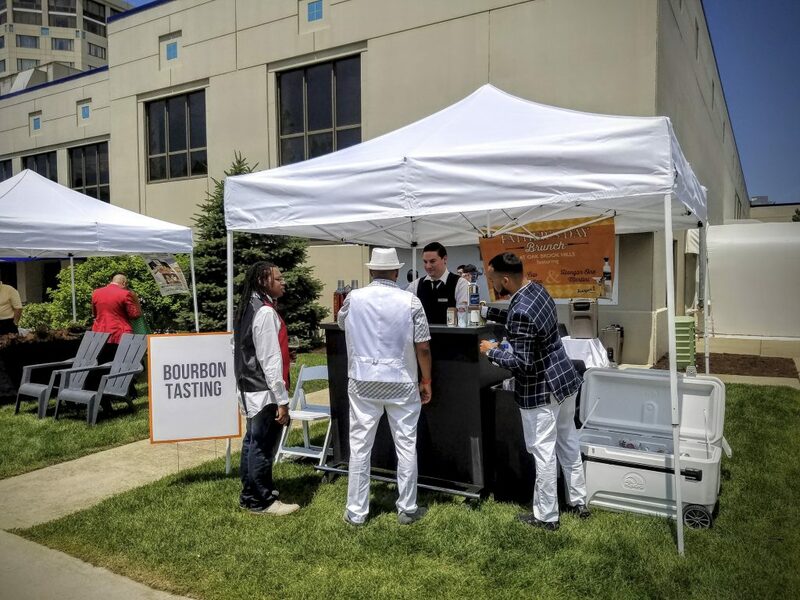 Once we turned in the cars we headed out to check out the bourbon and bow tie areas of the event. 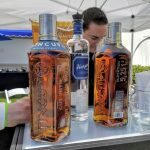 Southern Wine & Spirits hosted a tent pouring Tincup Whiskey from Colorado and Hangar One California Vodka. 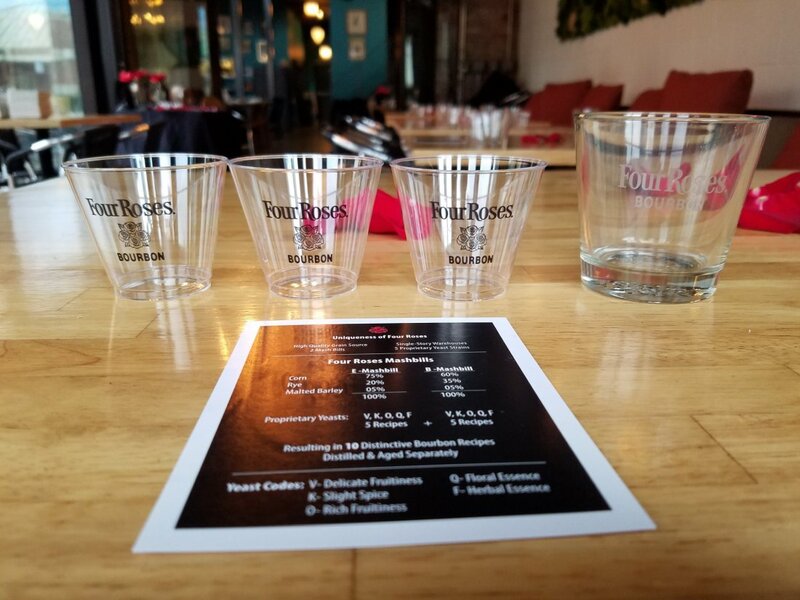 On hand to guide our bourbon tasting was bourbon aficionado Mark Gruber. Mark works with Southern Wine & Spirits, teaches wine and cocktail classes at Northwestern University, and leads tastings. 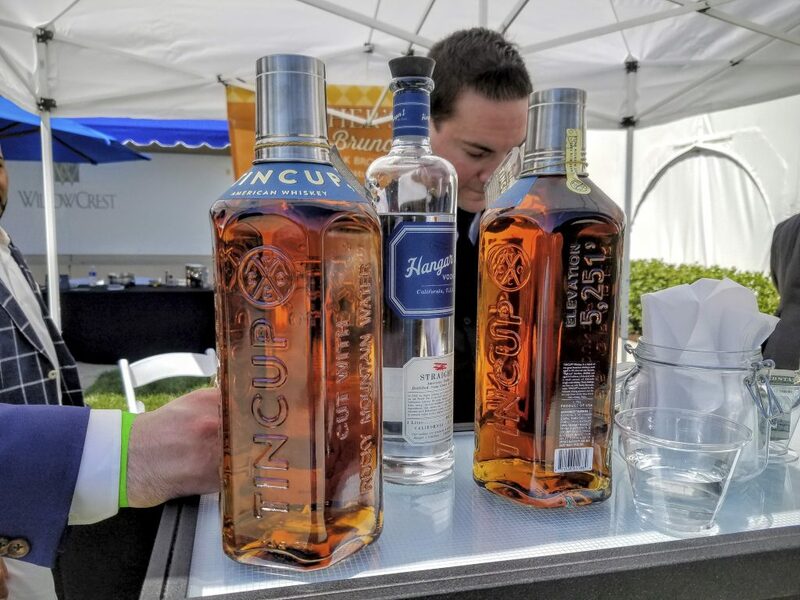 Tincup is a whiskey sourced from MGP of Indiana and cut with Rocky Mountain water before being bottled in Colorado. It comes in at 84 proof with no age statement. We talked with Mark for a while about all things bourbon. He told us about his very first bourbon distillery visit in the 80’s which was Stitzel-Weller. This happens to be the first distillery I ever visited as well. 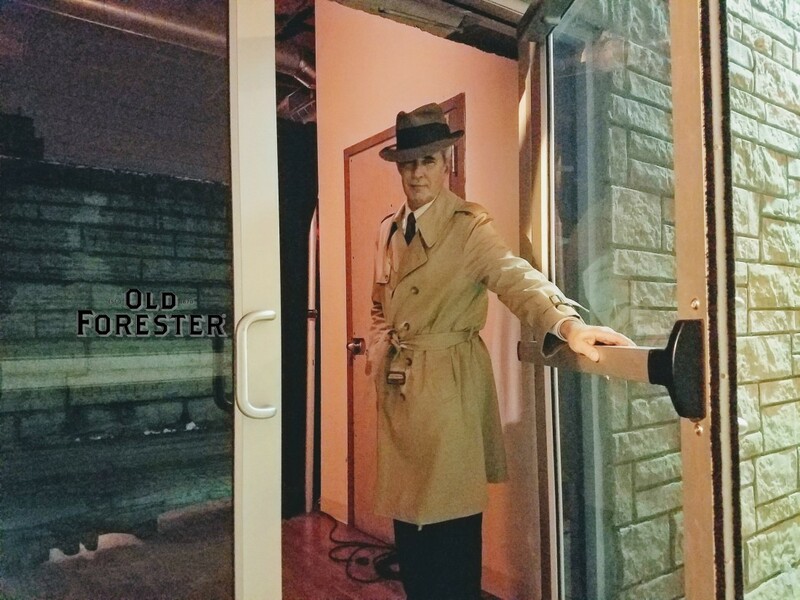 Though I’m sure our visits were much different given that in the 80’s they were actively producing Old Fitzgerald bourbon. 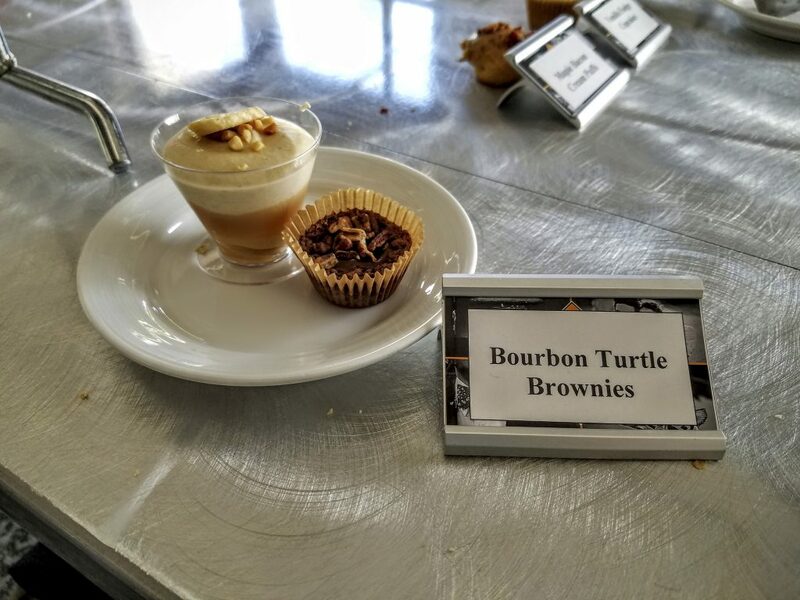 Whereas my visit centered around their now popular Bulleit Experience tour and tasting. 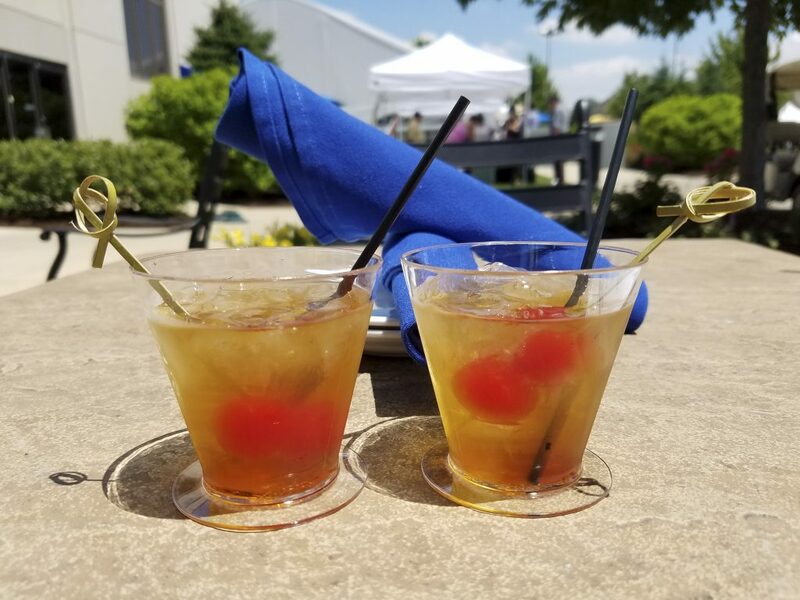 A couple tasty Manhattans made for us by the Tincup bartender. Tincup bottles waiting to be poured. 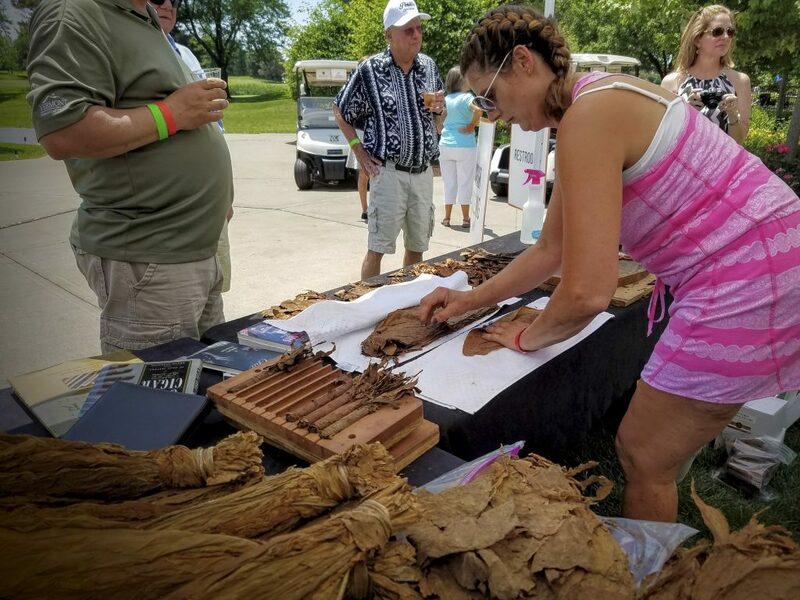 Next to the Tincup bar was a cigar rolling demo that caught our eye. 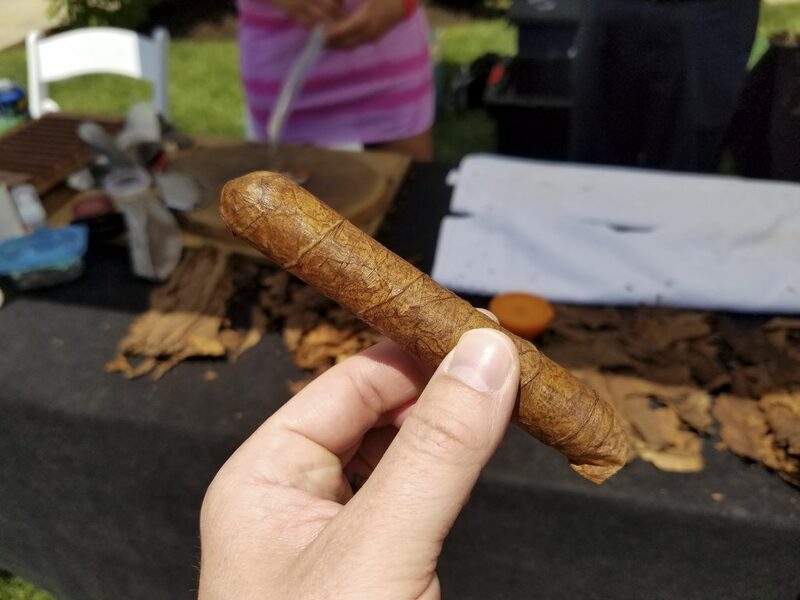 Pacific Cigars was handing out samples of their vacuum-sealed tube cigars, no humidor needed. 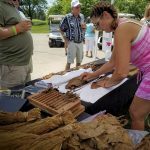 Hand-rolled in the US using tobacco from the Philippines, Dominican Republic, and other premium tobacco producers. If you’ve ever smoked a Mike Ditka or Mario Andretti Cigar it came from these guys. 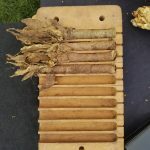 We watched a quick lesson in cigar rolling, from cutting and shaping the wrapper to folding and rolling the filler, to applying the cap with an organic adhesive. 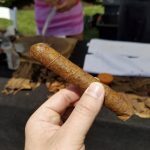 The cigar roller even gave us the sample cigar she rolled during the demo! 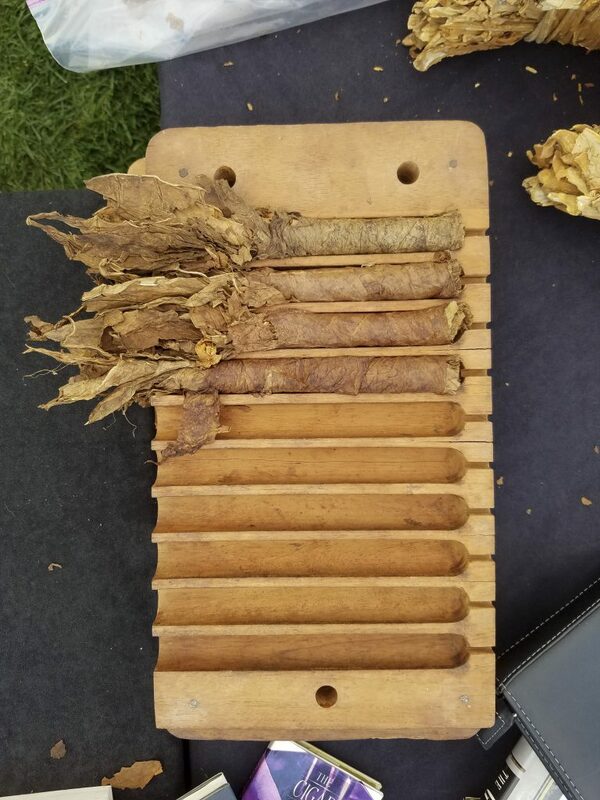 The cigar rolled for us by Pacific Cigars. Pacific Cigars rolling us a nice robusto. The cigar waiting room. Once rolled they will sit in a press like this for a few days or longer before the wrapper is applied. 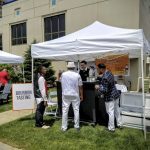 The sponsor and experts of the bow tie piece of this father’s day event were Trunk Club. They demonstrated the proper ways to tie a bow tie as well as provided personal styling consultations. The Art of Shaving exhibited a large display of envy worthy shaving accessories. If you’re still using those 5+ blade razors you used in high school it’s time to experience a razor-sharp single blade shave with quality shave oil. 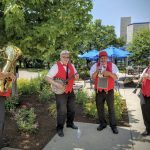 The Dixieland Band playing some tunes. 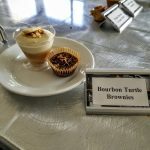 A delicious bourbon turtle brownie and some sort of rich vanilla and banana pudding. Bentleys, Bourbon, & Bow Ties was a fantastic day and made for a memorable father’s day. I had a blast with my father and though it did make for a great father and son experience there were a lot of families in attendance. 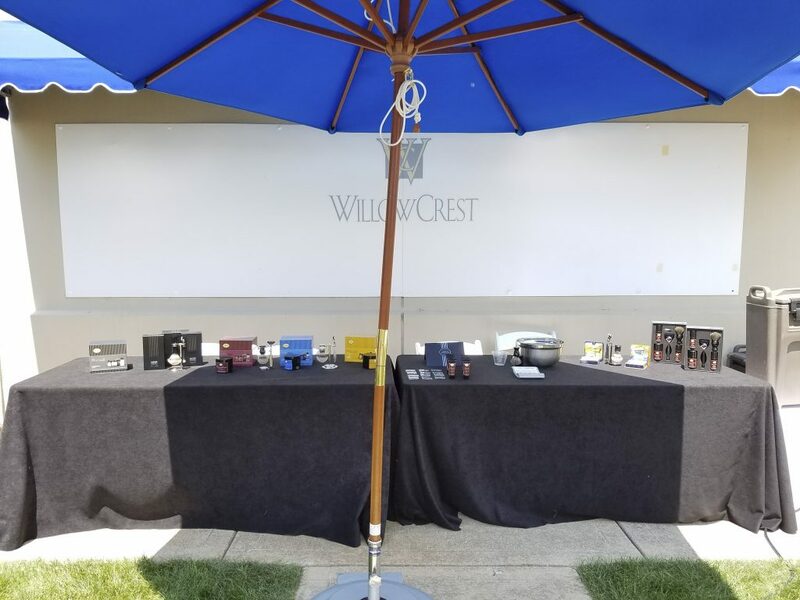 Between sitting in Perillos exotic cars to enjoying a great brunch and walking the beautiful Willow Crest Golf Course there was plenty for the family to enjoy. They even had a kids tent complete with pony rides, face painting, and arts and crafts. While dads had access to 500+ horsepower supercars junior could have some fun of his own. Previous post What Kind of Bourbon Buyer Are You?